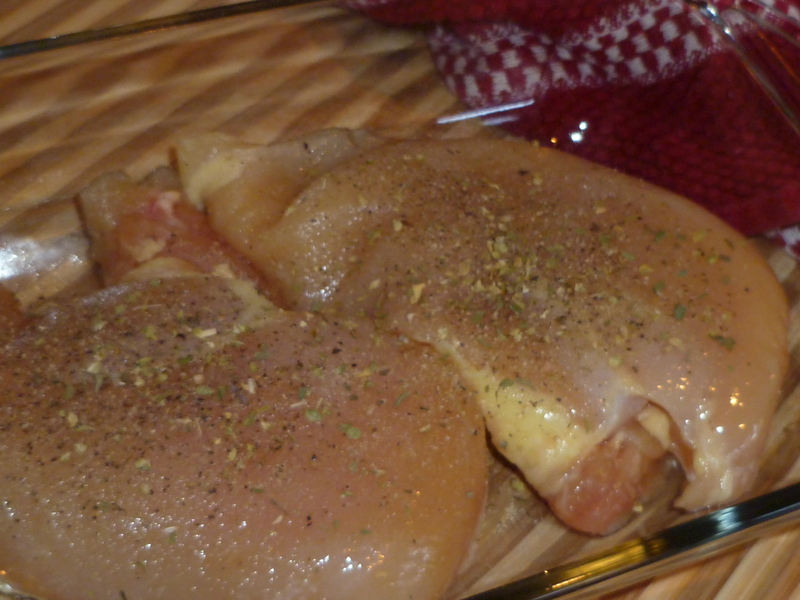 Place two skinless boneless chicken breasts in a baking pan, generously salt and pepper them, and a good sprinkle of oregano and garlic powder. 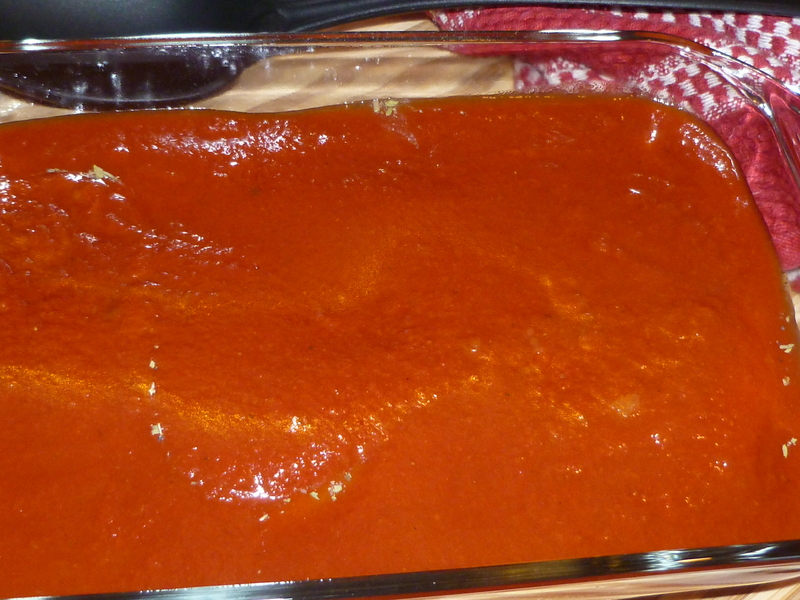 I usually prefer my own tomato sauce (I’ll share that recipe another time), but I had some store bought jarred sauce in the freezer that was leftover from who knows what! I smothered the chicken with the sauce! The chicken is in there! I like to use a lot of sauce! 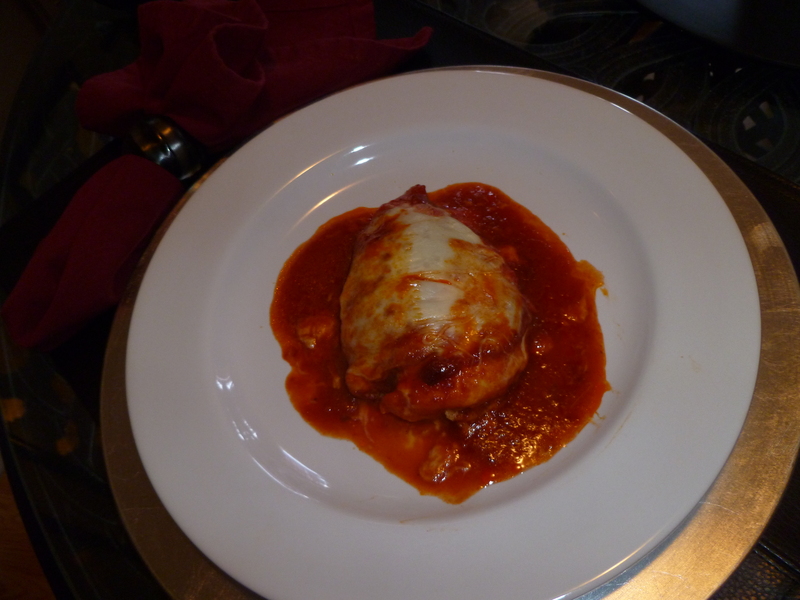 I baked the boneless, skinless chicken at 350 for about 46 minutes. If you need this in a shorter amount of time, place the boneless chicken breasts between two pieces of plastic wrap and pound it into thinner pieces. I pulled the baking dish from the oven to add the cheese and I really wanted a nibble but I managed to control myself. I had some swiss cheese slices that needed to be used sooooo that’s what smothered the chicken next! Bake for another 5-10 minutes, pull from the oven and let sit for another 5-10 minutes…as if that’s possible! The aroma of this baking alone will have you drooling! You can certainly serve this over pasta, with a salad and garlic bread on the side, whatever you want. I just wanted it with a glass of wine! I dare you not to try this dish! Enjoy! This was sent to me in an email, I love it and had to share it! “As I grow in age, I value women over 50 most of all. & it’s usually more interesting. Older women are forthright and honest..
They’ll tell you right off if you are a jerk or if you are acting like one. Yes, we praise women over 50 for a multitude of reasons. with some 22-year old waitress. Toss a little olive oil in a large sauce pan cause you’re going to want to share this meal with someone I promise. Lightly saute some minced garlic and onion. You could also substitute garlic and onion powder if you wanted. 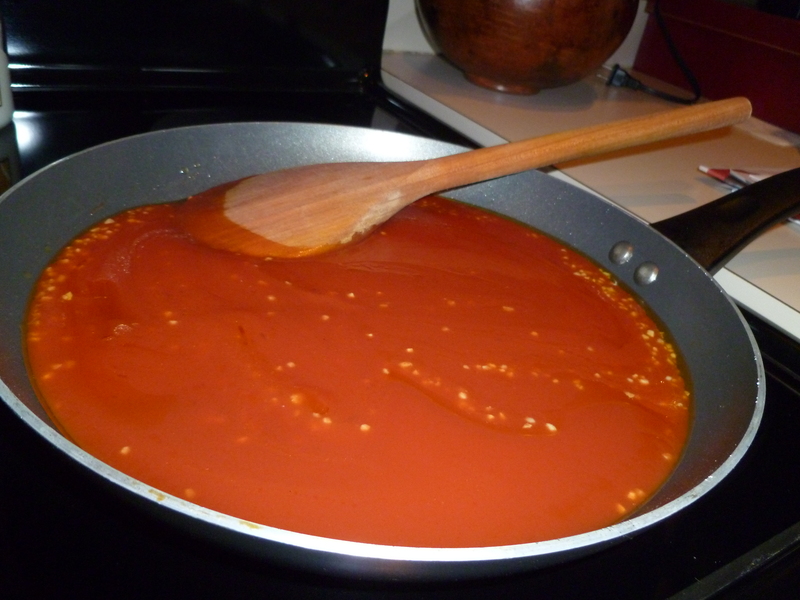 Then pour in your favorite tomato sauce, simmer on low until it reduces and thickens slightly. 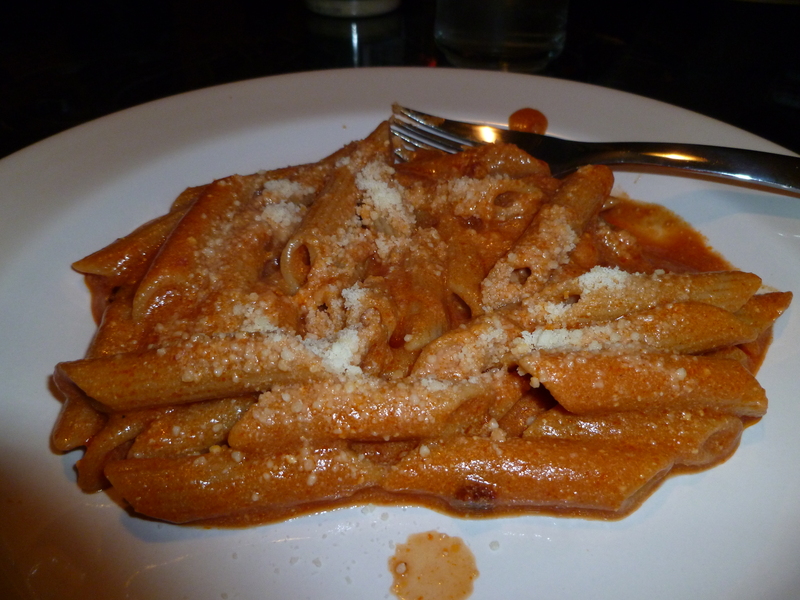 Go ahead and start to cook your pasta, I like to use penne pasta for this sauce. To the tomato sauce pour in some light cream. I can’t use heavy cream as most recipes call for, my tummy doesn’t like heavy. I also stir in a big spoonful of ricotta cheese and sprinkle in a good parmesan cheese as well, grated works best. 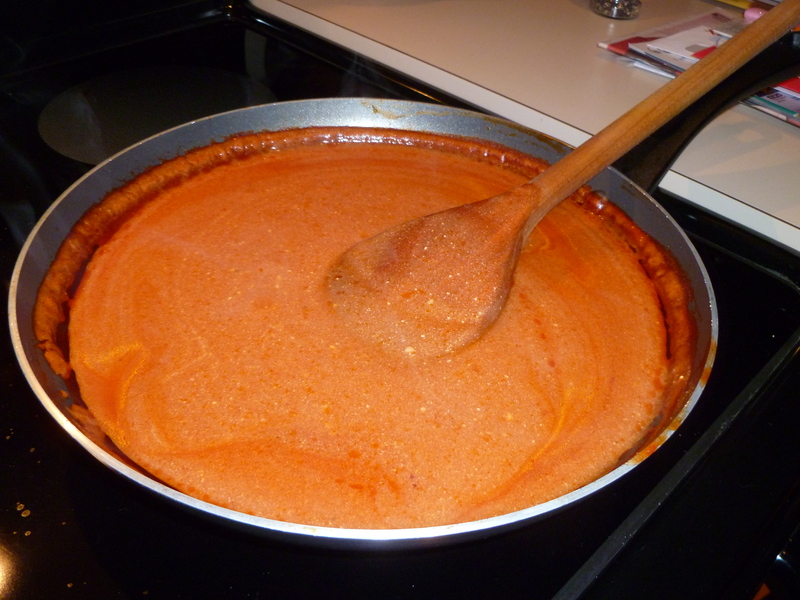 Keep a close eye on the sauce, stirring often, on a low heat. 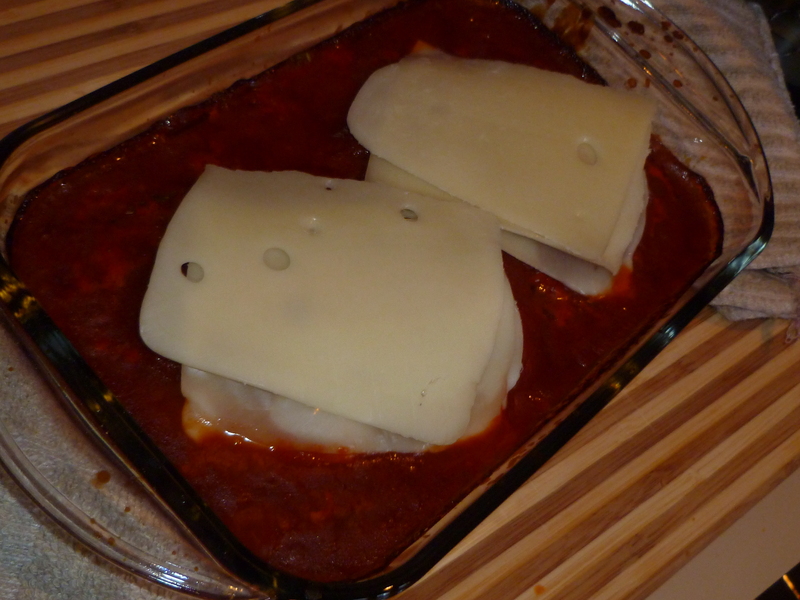 I then plate the drained pasta, pour a delicious amount of sauce over the pasta and top with parm cheese. And proceed into the ymminess of this sauce. okay, now for the dessert. 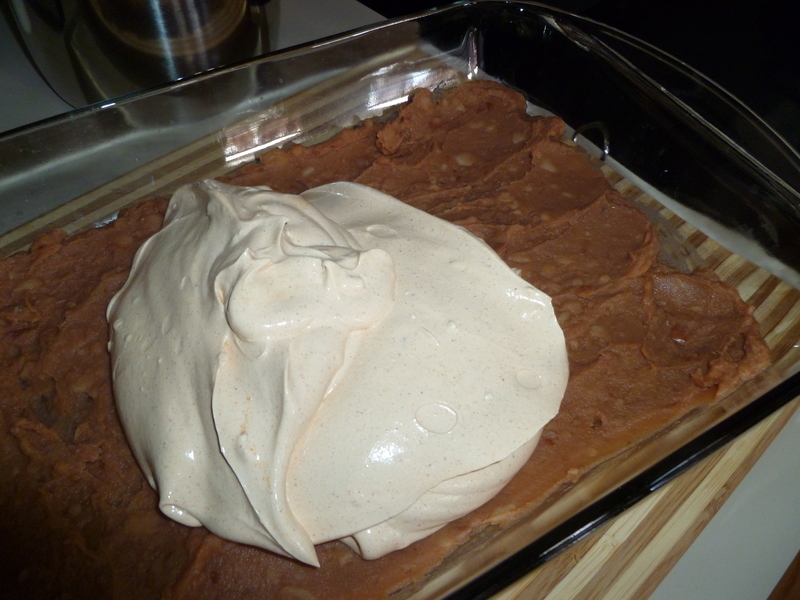 In a food processor or blender toss in some raspberries and about a tablespoon of brown sugar. Puree until a luscious purpley sauce. Wait, dont faint yet, there is more. Pour the sauce into a separate dish. Back to the blender add blackberries, ricotta cheese, softened cream cheese and a dash of vanilla, puree *sigh. Now comes the fun, layer in a champagne glass or some other beautiful stem glass. Start with the blackberry cheese mixture, then the raspberry sauce, then the blackberry cheese mixture, you get the idea. Top with a dollop of whipped cream and a berry. WALA! Sorry to say that I have no picture of this dessert. I made the dessert and we both dove into like we were starved! I may make this later in the week, I still have ricotta and cream cheese left over. If I do make it again I promise I’ll take pictures. Usually on a Sunday afternoon or late evening, you’ll find me in my kitchen cooking a few meals for later in the week. 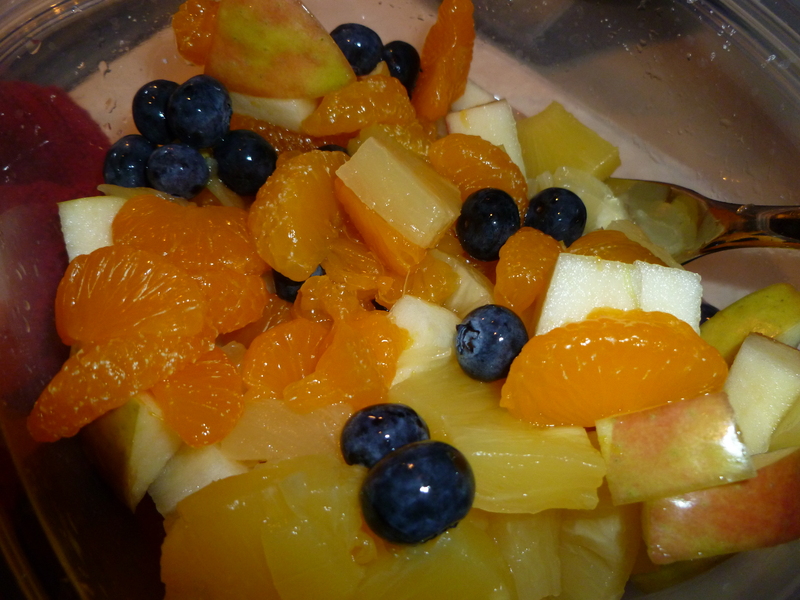 This week I threw together a fruit salad that is so simple I’m almost ashamed to post it. But everyone that walked in my office this week and caught a glimpse of it sitting on my desk, well, they drooled. All I did was used canned clementine’s, drained. I’d rather do fresh but the stores don’t have them now. I also used canned pineapples chunks since my store did not have any fresh pineapple. Everything else was fresh; blueberries, chunks of apple, and I add raspberries and blackberries just before I’m ready to chow down. Summer is the best time to make fruit salad, tons of fruit to choose from but winter months, hey, I just make do with what I can. My Grandmother would put coconut and raisins in her fruit salad. And just for me she would add maraschino cherries! Hmmm I think I have some in the fridge that I use for my cocktails, I think I might have to add them! 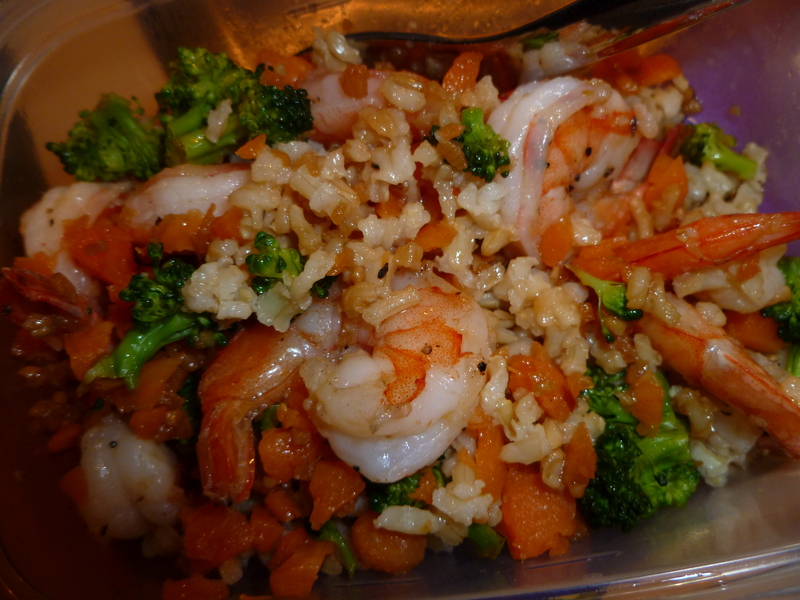 Then I made a sesame soy sauce to add to a broccoli shrimp and brown rice dish. I sautéed the shrimp in olive oil, threw steak seasoning over the shrimp, yes you read that correctly, steak seasoning is NOT just for steak, try it on chicken and shrimp, its delish! While the shrimp were cooking, I started the rice and steamed some shredded carrots and broccoli florets. Tossed it all together and poured the sesame soy sauce over it all. I had 2 servings for the week. Check back tomorrow, I’ll post my vodka pasta and berries and cream dessert! Need a quick snack idea for tonights game? Here you go! 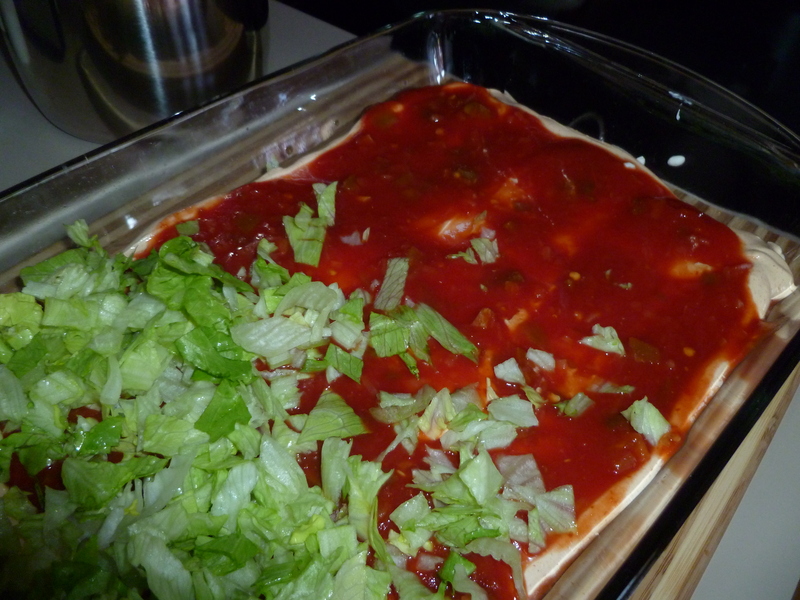 I checked a few recipes in cookbooks, looked up my taco dip recipe and went with my daughters. But they were all pretty much the same. Spoon salsa over the cream cheese sour cream mixture, then chopped shredded lettuce. 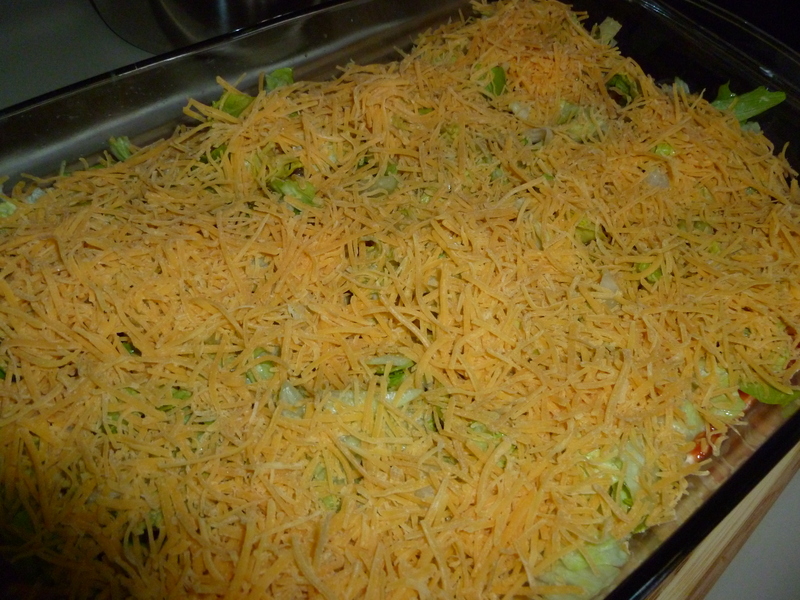 Top with your choice of shredded cheese. Next time I’m trying guacamole anc chopped tomatoes.